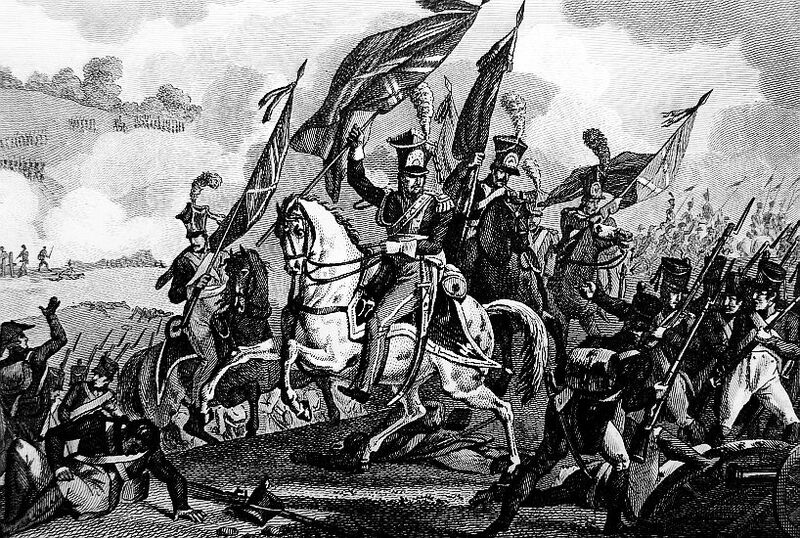 On the 13th of June 1807, Bennigsen sent his army of 65,000 Russians over the Alle into Friedland. 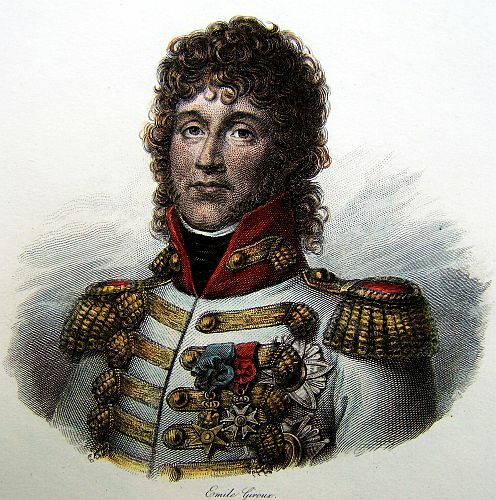 Lannes and his 16,000 French were in a dire situation. 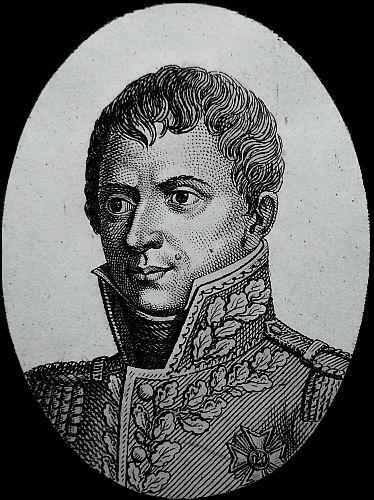 It would be eleven hours before Napoleon would arrive with the rest of the army. 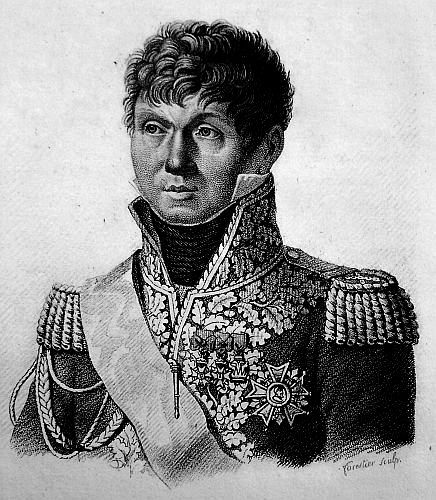 Oudinot took up position in the Sortlack forest and was continuously harassed by Russian infantry and cavalry. The Russians also advanced on Heinrichsdorf, and if it fell, Lannes would lose his line of communication. 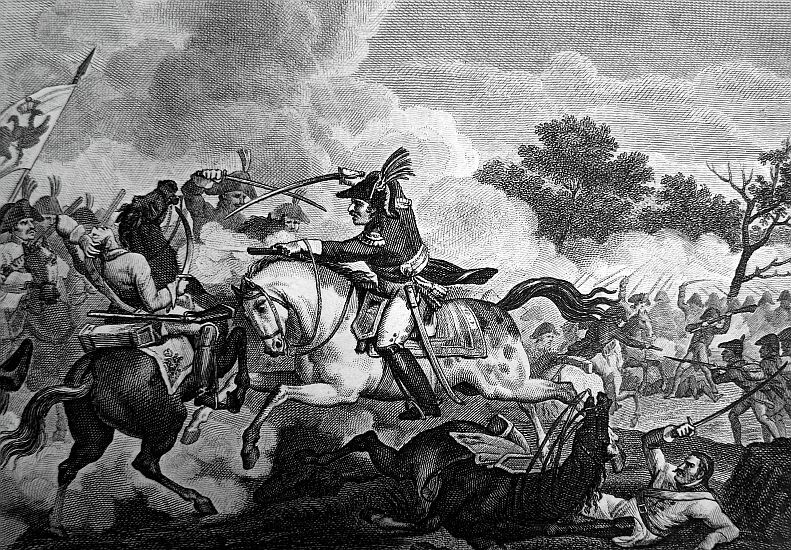 Grouchy’s dragoons and Nansouty’s cuirassiers engaged the Russians and prevented them from taking the town. 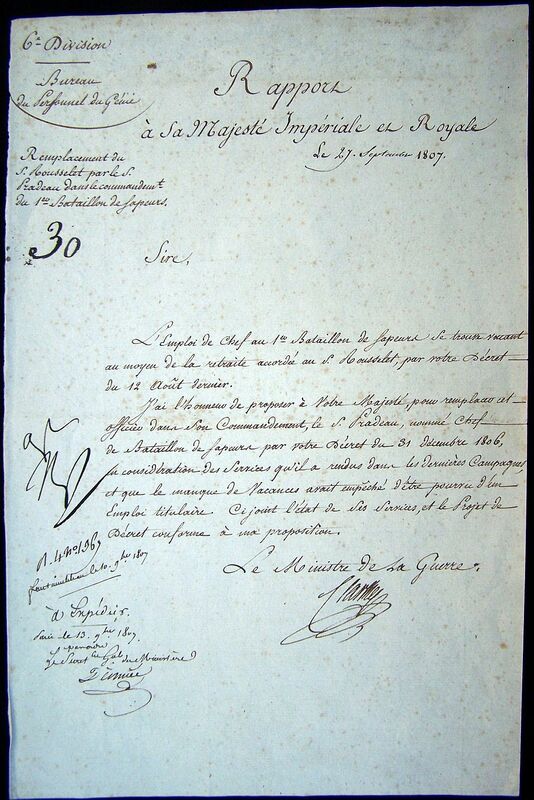 The outnumbered French would use deception to prevent the Russians from advancing. Lannes had his troops, cavalry, and artillery continuously moved from position to position, and always firing. 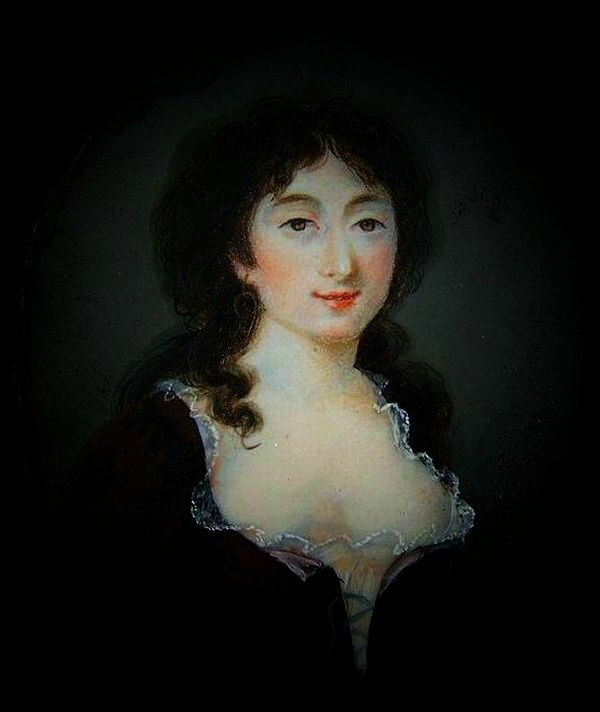 Soon Dupas and Mortier would arrive and position themselves at the weak points. Bennigsen sent in his cavalry into Heinrichsdorf where the outnumbered Grouchy immediately fled. However, when the charging Russians tired, Nansouty attacked with his cuirassiers, which scattered the Russians who then retreated. Bennigsen also sent in his infantry to take the Sortlack forest from Oudinot. The outnumbered Oudinot managed to repulse the attack. 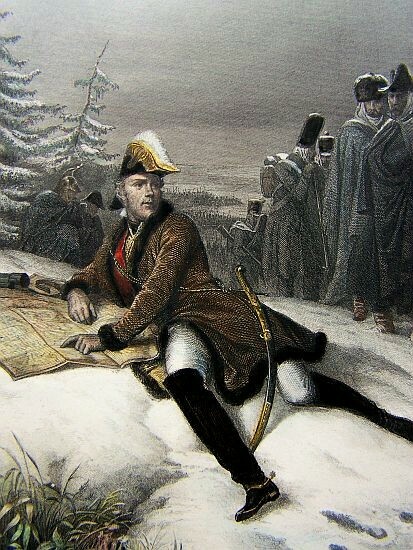 After hours of battle, Bennigsen had managed little success against a much smaller French force. Napoleon finally arrived with the rest of his army and went on the attack. 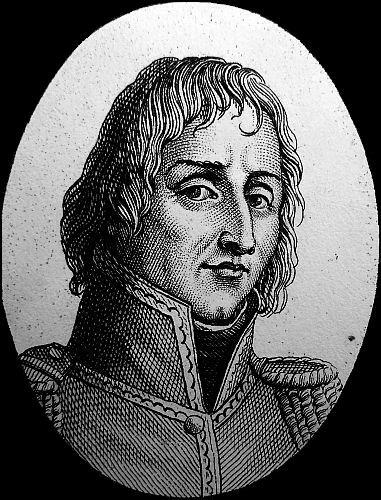 Bennigsen seeing that he now faced the entire French army tried to retreat out of Friedland. However, Bennigsen’s line of retreat was almost non existent. 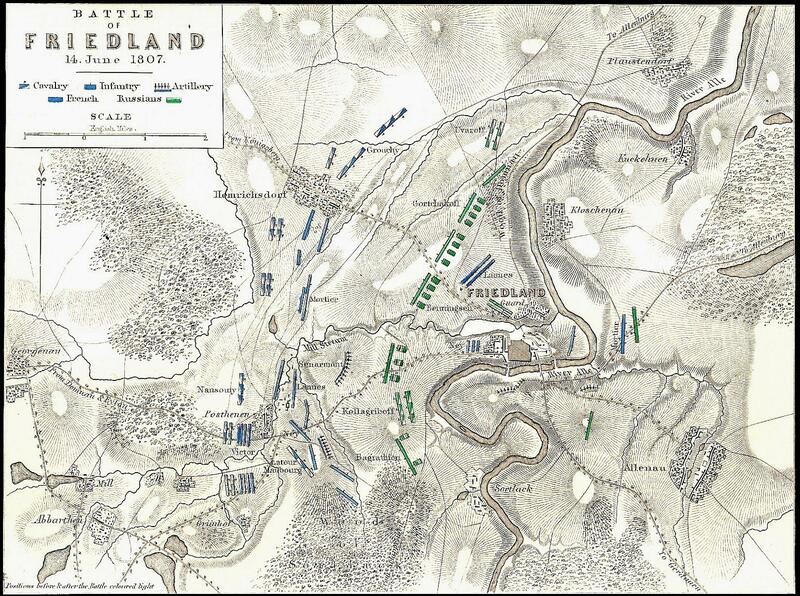 The Russians moved through the streets of Friedland with the French attacking. The Russians ran out of room to maneouvre, and only the night prevented their utter destruction. The few Russians that managed to cross the Alle fled out of sight. 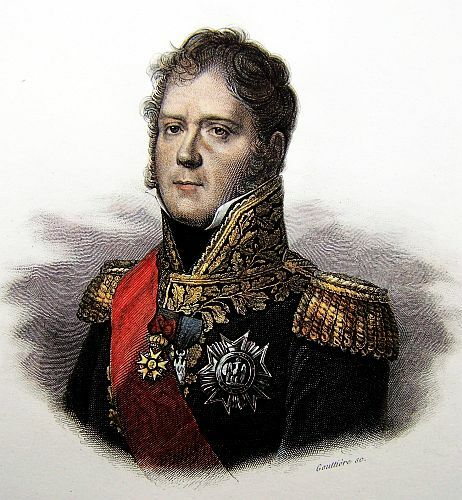 The victory of Friedland would end the campaign, and Alexander I would have to submit to Napoleon’s terms. 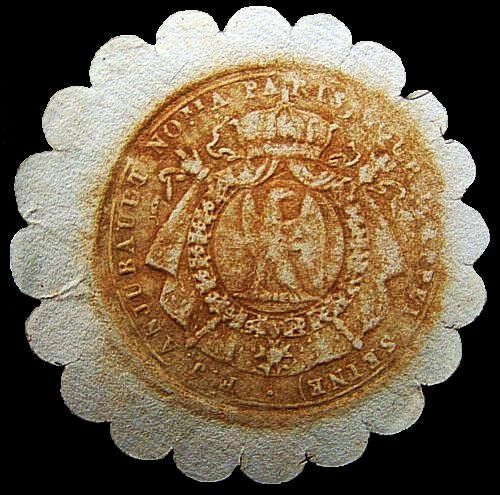 As a reward, Lannes would receive the principality of Siewierz for his participation in the campaign. The battles of Spanden, of Lomitten, the affairs of Guttstadt and Heilsberg were only the prelude to greater events. 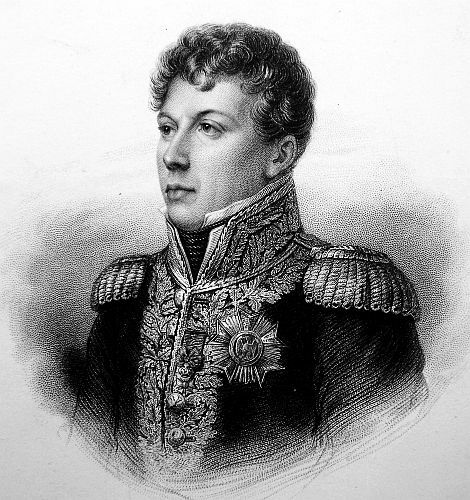 On the 12th, at four in the morning, the French army entered Heilsberg; General LATOUR MAUBOURG, with his division of dragoons, and the brigades of light cavalry, of the General DUROSNEL and WATTIER, pursued the enemy, upon the right bank of the Alle, towards Bartenstein; while the corps of the army began to march in different directions, to out flank the enemy, cut off his retreat to Koningsburg, and anticipate him in the coming up with his magazines. Fortune favoured this project. On the 12th, at five in the afternoon, the EMPEROR removed his head-quarters to Eylau. The fields were no longer covered with ice and snow; they now presented the finest prospects in nature, intersected with beautiful woods and lakes, and diversified with a number of pretty villages. The Grand Duke of BERG moved towards Koningsberg on the 13th, with his cavalry; Marshal DAVOUST followed in his rear to support him; Marshal SOULT moved towards Kreutsburg; Marshal LANNES, towards Domnau; and Marshal NEY and MORTIER proceeded to Lampasch. 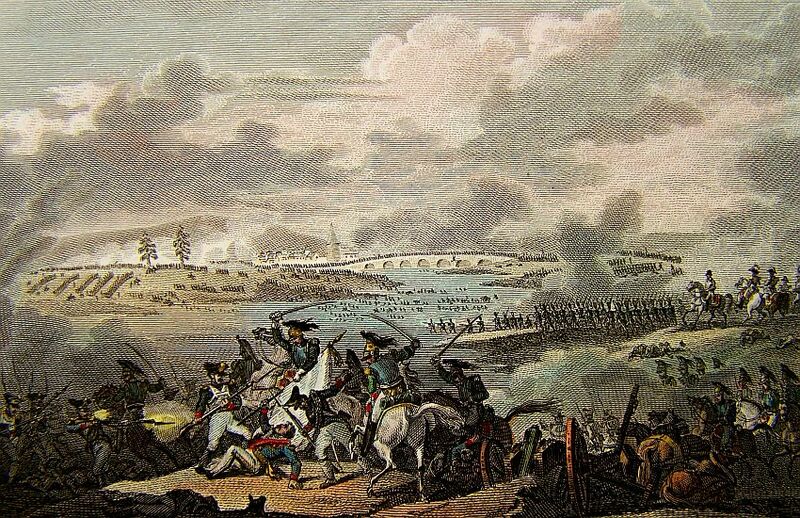 In the mean while General LATOUR MAUBOURG wrote, that he had pursued the enemy’s rearguard; that the Russians abandoned a number of their wounded; that they had evacuated Bartenstein, and continued their retreat to Scheppenbeil, along the left bank of the Alle. The Emperor immediately began his march to Friedland. He gave orders to the Grand Duke of BERG, the Marshals SOULT and DAVOUST, to manoeuvre towards Koningsberg; and with the corps belonging to Marshals MORTIER, NEY, and LANNES, the Imperial Guard, and the first corps, commanded by General VICTOR, he marched to Friedland in person. On the 13th, the 9th regiment of Hussars entered Friedland, but were driven out by 3,000 of the enemy’s cavalry. On the 14th, the enemy appeared upon the bridge of Friedland. At three in the morning the report of cannon was heard. ‘This is a fortunate day (said the Emperor): it is the anniversary of the battle of Marengo.’ The Marshals LANNES and MORTIER were first engaged; They were supported by General GROUCHY’S division of dragoons, and General NANSOUTY’S cuirassiers. Various movements and different actions took place. The enemy were checked, and could not pass the village of Postenen. Thinking they had only a corps of 15,000 men before them, they continued their march to file towards Koningsberg. On this occasion the French dragoons and cuirassiers, and the Saxons, made several fine charges; they took from the enemy four pieces of cannon. At five in the afternoon the different corps of the army were at their post; Marshal NEY upon the right, Marshal LANNES on the center, Marshal MORTIER upon the left, and General VICTOR, with the guard, in reserve. The cavalry under General GROUCHY supported the left; General LATOUR MAUBOURG’S division of dragoons was in reserve behind the right; the General LAHOUSSAYE dragoons, with the Saxon cuirassiers were in reserve in the rear of the centre. In the mean while, the enemy had deployed the whole of his army. His left was supported by the town of Friedland, and his right extended a league and a half beyond it. 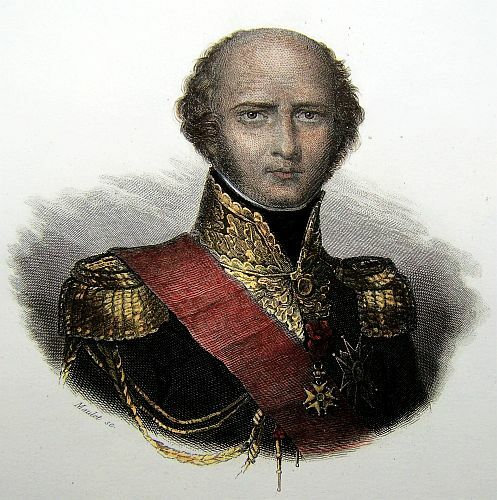 The EMPEROR having reconnoitred the position, was determined to get possession of Friedland; he suddenly changed his front, and causing the right to advance, he ordered the attack to be made by the extremity of the right wing. At half after five Marshal NEY put himself in motion; some discharges from a battery of 20 pieces of cannon were the signal. At the same moment the division of General MARCHAND advanced against the enemy, taking their rout by the steeple of the church. General BISSON’S division supported their left. 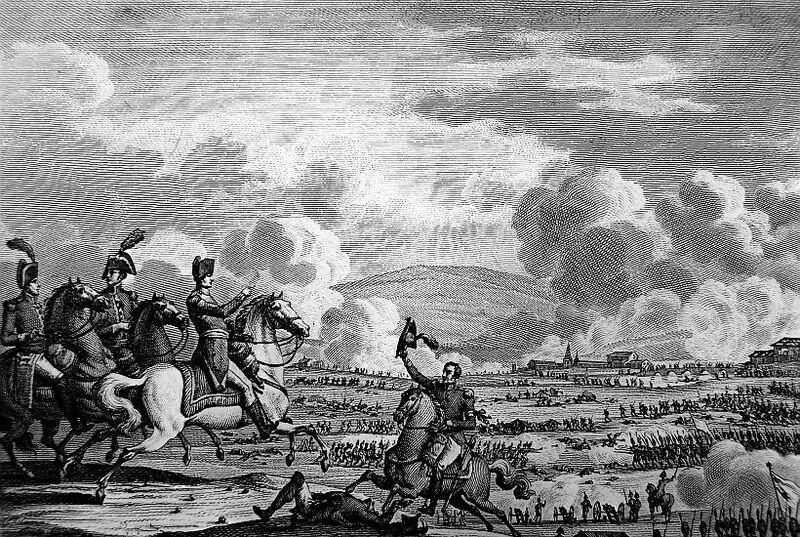 The moment the enemy perceived that Marshal NEY had quitted the wood, where he had at first taken a position with his right, they endeavoured to turn him with several regiments of cavalry, preceded by a cloud of Cossacks. 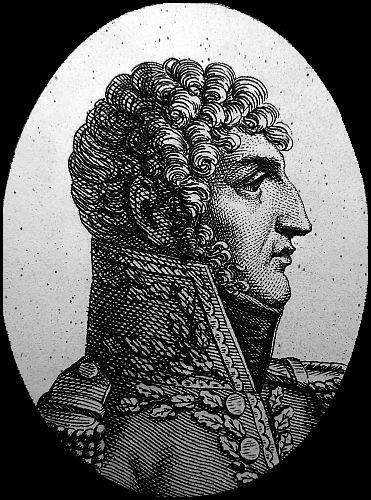 General LATOUR MAUBOURG’S division of dragoons formed immediately, advanced to the right in full gallop, and repelled the enemy’s charge. In the mean while General VICTOR ordered a battery of 30 pieces of cannon, to be placed in the front centre. General SENNERMONT, who commanded this battery, caused it to be moved 400 paces in advance, by which the enemy sustained a dreadful loss. The different movements made by the Russians, to effect a diversion, were useless. 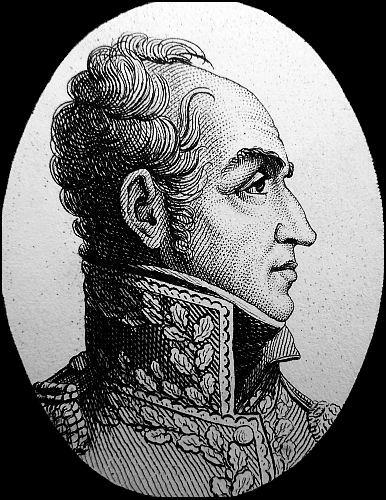 Marshal NEY, with the coolness and intrepidity peculiar to himself, being a head of his echelons, took upon him to direct, in person, the most minute details, thus affording an example to a corps of the army which has always distinguished itself, even among the corps of the grand army. Several columns of the enemy’s infantry that attacked Marshal NEY’S right, were charged with the bayonet, and driven into the Alle. Several thousands found their death in that river, and some escaped by swimming. During the time Marshal NEY’S left arrived at the ravine which surrounds the town of Friedland. The enemy, who had here concealed the Russian Emperor’s guard in an ambuscade, advanced with intrepidity, and charged Marshal NEY’S left. This corps was for a moment shaken; but DUPONT’S division, which formed the right of the reserve, marched against the Russian Imperial Guard, routed them, and made a dreadful slaughter. The enemy drew several reinforcements from his centre, and other corps in reserve, to defend Friedland. Vain efforts! Friedland was forced, and its streets covered with dead bodies. 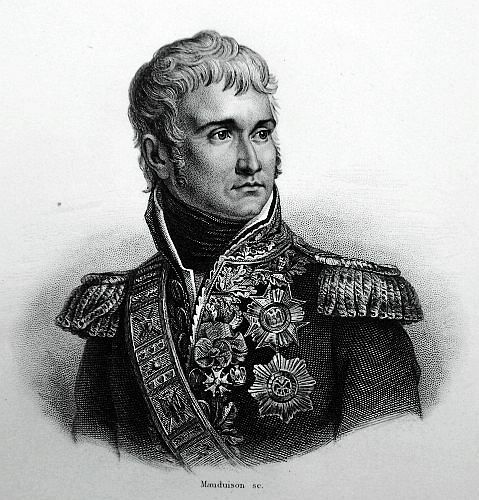 At this moment the center, commanded by Marshal LANNES, was engaged. The effort which the enemy had made at the extremity of the right of the French, having failed, he wished to try a similar operation upon the center. He was received as might be expected, by the brave divisions of OUDINOT and VERDIER, and the Marshal who commanded them. The charges of the cavalry and infantry could not retard the march of our columns: all the efforts of Russian bravery were useless. They could make no impression, but met death upon the points of our bayonets. 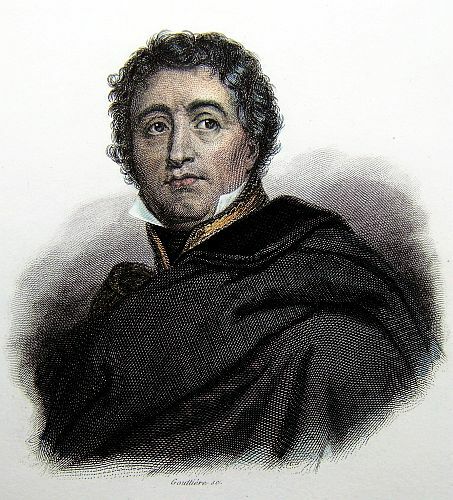 Marshal MORTIER, who all the day exhibited proofs of intrepidity and coolness in maintaining the left, then marched forward, and was supported by the fusiliers of the Guard, commanded by General SAVARY. The cavalry, the infantry, the artillery, every corps distinguished itself. The Imperial Guard, horse and foot, and two divisions of the reserve of the first corps, were not engaged. Victory was never doubtful for a moment. The field of battle is one of the most dreadful that can be seen. It is no exaggeration to estimate the number killed, on the part of the Russians, from 15 to 18,000 men. On the part of the French, the loss does not exceed 500 killed, and 3,000 wounded. 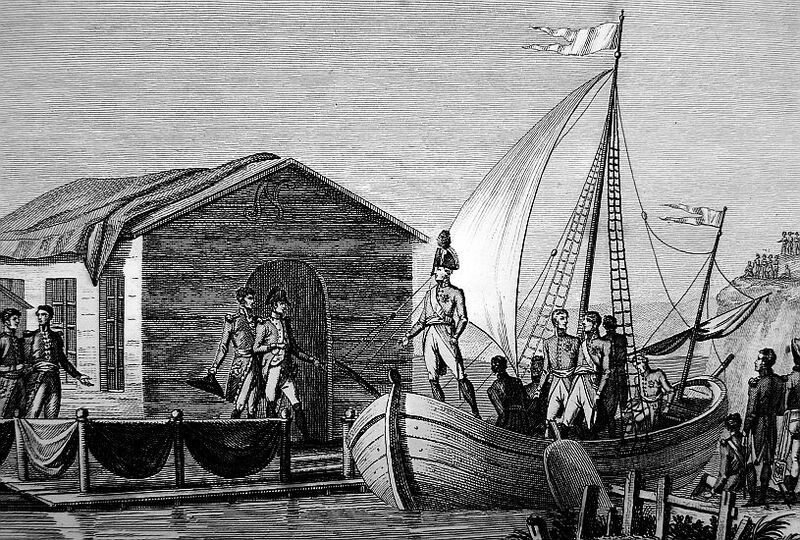 We have taken 80 pieces of cannon, and a great number of caissons. Several colours are in our hands. The Russians have had 25 Generals killed, taken, and wounded. Their cavalry has suffered an immense loss. The carbineers and cuirassiers, under General NANSOUTY, and the different divisions of dragoons, have distinguished themselves. General GROUCHY, who commanded the cavalry of the left wing, has rendered important services. General DROUET, Chief of the Staff of Marshal LANNES corps; General COHORN; Colonel REGNAUD, of the 15th of the line; Colonel LAGONQUERRE, of the 60th of the line; Colonel LAMOTTE, of the 4th dragoons; and the General Brigade BRUN, are wounded. 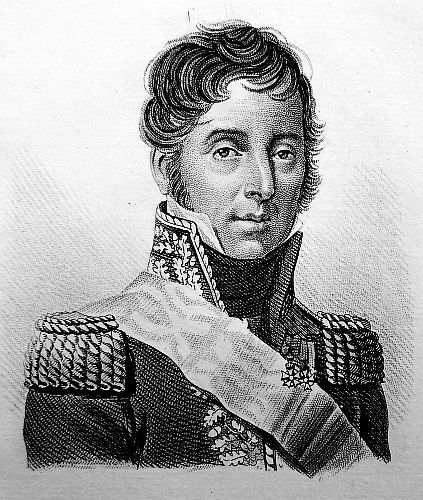 General LATOUR MAUBOURG is wounded in the hand. 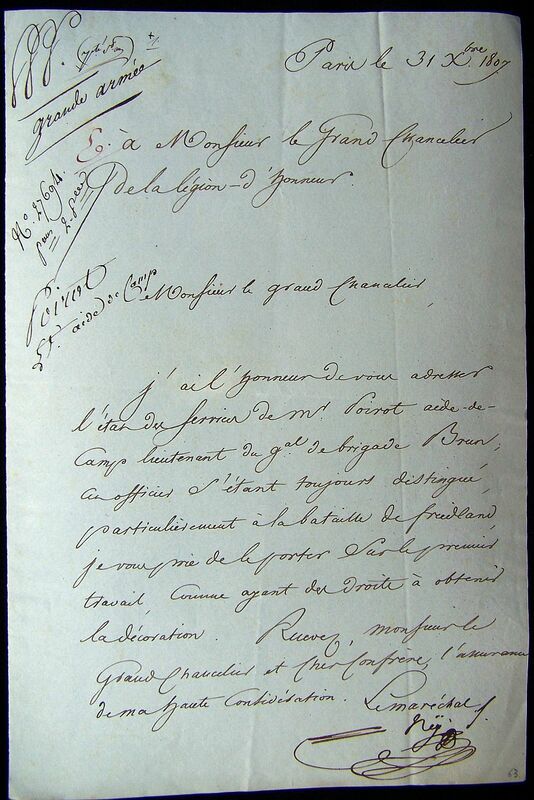 Colonel DESFOURNEAUX, of the Artillery, and HUTEN, Chef d’ESCADRON, First Aide-de-Camp to General OUDINOT, are killed. 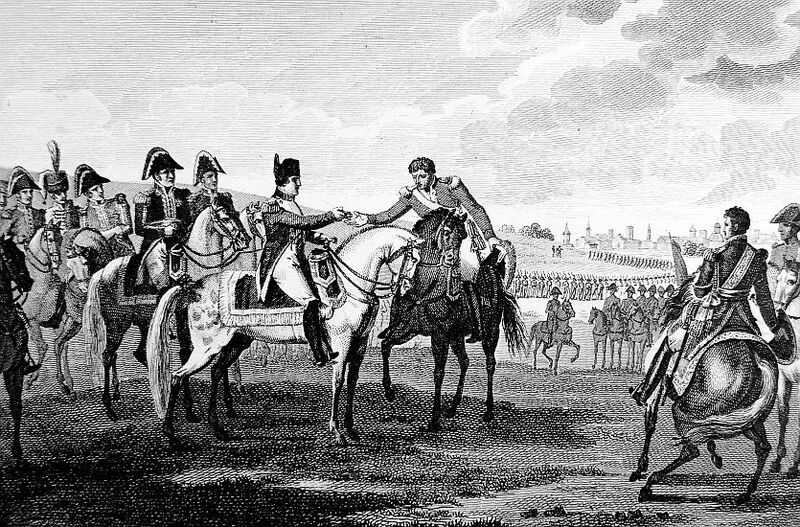 MOUTON and LACOSTE, the EMPEROR’S Aide-de-Camp, are slightly wounded. Night did not prevent the pursuit of the enemy: he was followed till eleven o’clock. During the remainder of the night, the columns that were cut off endeavoured to pass the Alle, in several fordable places. On the following day, for the space of several leagues, we found caissons, cannon, and carriages lost in the river. The battle of Friedland is worthy to be compared with those of Marengo, Austerlitz, or Jena. The enemy was numerous, had a fine cavalry, and fought with courage. On the 15th, while the enemy was endeavouring to rally and retreat to the right bank of the Alle, the French army continued its manoeuvres on the left bank, to cut the enemy off from Koningsberg. The heads of the columns arrived at Wehlau together; this town is situated at the confluence of the Alle and the Pregel. The EMPEROR’S head-quarters were at Paterswalde. On the 16th, at day-break, the enemy having destroyed all the bridges, availed himself of this obstacle to continue his retrograde movements towards Russia. At eight in the morning the EMPEROR caused a bridge to be thrown over the Pregel, and the army was again in its positions. Almost all the enemy’s magazines upon the Alle were burnt by him, or thrown into the water; we know, from what remains, the immense loss which has been sustained. In all the villages, where the Russians had magazines, they burnt them during their retreat. We found at Wehlau more than six thousand quintals of grain. The news of the victory of Friedland caused the enemy to abandon Koningsberg. Marshal SOULT entered that city, where we have found immense riches; several hundred thousand quintals of corn, upwards of 20,000 wounded Russians and Prussians, all the warlike stores seat by the English for the Russians, and, among other things, 160,000 muskets, not unpacked. Thus Providence has punished those who, instead of negotiating with good faith to perfect the salutary work of peace, have made light of it, mistaking the calmness of the conqueror for weakness or impotence. The army here occupies the finest country imaginable. The borders of the Pregel are rich. In a short time, the magazines and cellars of Koningsberg and Dantzic will supply us with fresh means of health and abundance. The names of the brave men who have distinguished themselves, the details of the achievements of each of the corps, exceed the limits of a bulletin. The Staff is occupied in collecting the facts. The Prince of NEUFCHATEL has given particular proofs, in the battle of Friedland, of his zeal and talents. He was several times in the heat of the action, making useful dispositions. The enemy recommenced hostilities on the 5th. We may estimate the loss he has sustained in ten days, and in consequence of the succeeding operations, at 60,000 men, prisoners, killed, wounded, and disabled. He has lost a part of his artillery, almost all his ammunition, and all his magazines upon a line upwards of 40 leagues in extent. The French armies have seldom obtained such great success with so little loss. At the affair at Heilsberg, the Grand Duke of BERG passed along the line of the 3d division of cuirassiers, at the moment when the 6th regiment had just made a charge. 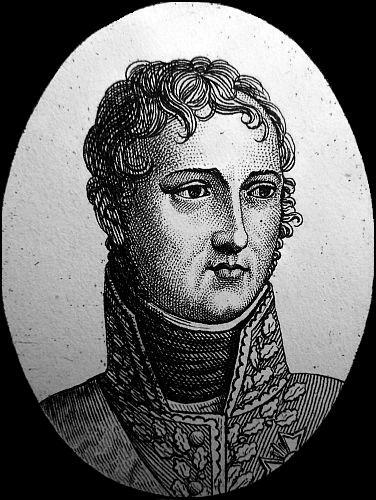 Colonel d’AVARY, Commander of the regiment, his sabre dyed in blood, said, “Prince review my regiment, and you will find that there is not a soldier whose sword is not like mine.” Colonel BORDESSOULLE was wounded; GUEHENEUC, Aide-de-Camp to Marshal LANNES, was wounded. 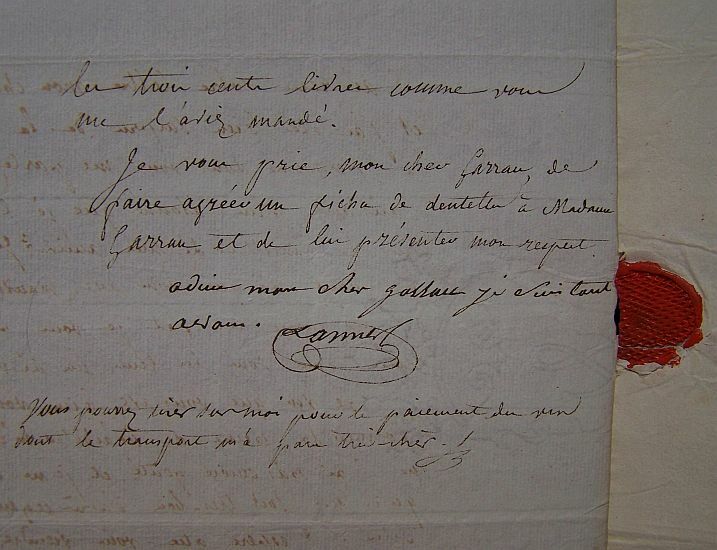 The sons of the Senators PERIGNON, CLEMENT de RIS, and GARRON COULON, died with honour on the field of battle. 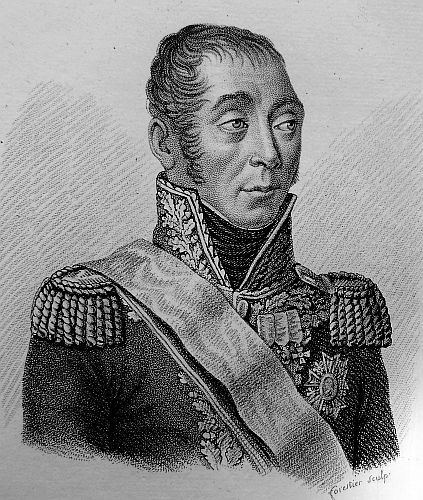 Marshal NEY, proceeding to Gumbinnen, secured some of the enemy’s parks of artillery, many wounded Russians, and took a great number of prisoners. An Armistice has been concluded upon the proposition of the Russian General. The French army occupies all the Thalweg of the Niemen, so that there only remains to the King of PRUSSIA,, the town and territories of Memel. Tomorrow the two Emperors of FRANCE and RUSSIA are to have an interview. For this purpose, a pavilion has been erected in the middle of the Nieman, to which the two Monarchs will repair from each others banks. Few sights will be more interesting. The two sides of the river will be lined by the two armies, while their Chiefs confer on the means of re-establishing order, and giving repose to the existing generation. The Grand Marshal of the Palace, DUROC, went yesterday, at three in the afternoon, to compliment the Emperor ALEXANDER. Marshal Count KALKREUTH was presented this day to the EMPEROR: he remained an hour in his MAJESTY’S Cabinet. 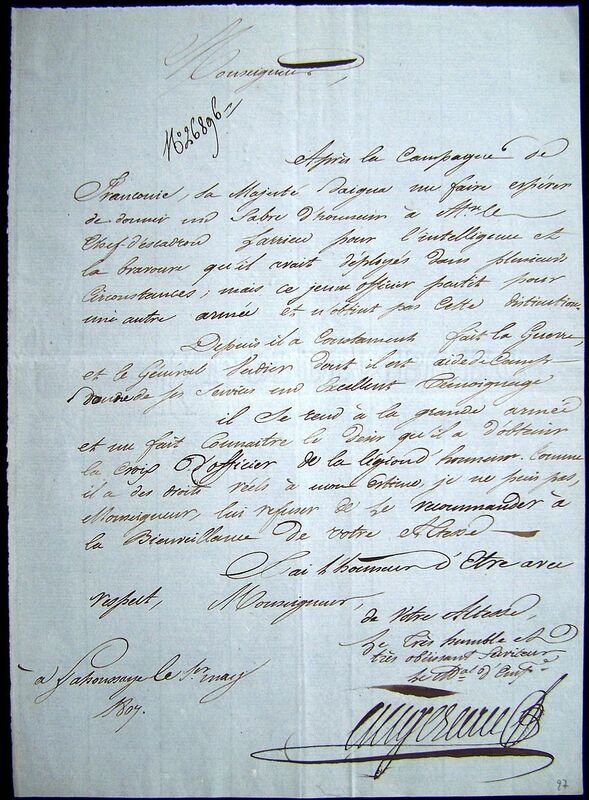 The corps of Marshal LANNES was reviewed this morning by the EMPEROR. He made several promotions, gave rewards to these who distinguished themselves by their bravery, and expressed his satisfaction to the Saxon Cuirassiers.